This paper explores how cultural and migrant backgrounds affect boys’ and girls’ high-school academic performance. 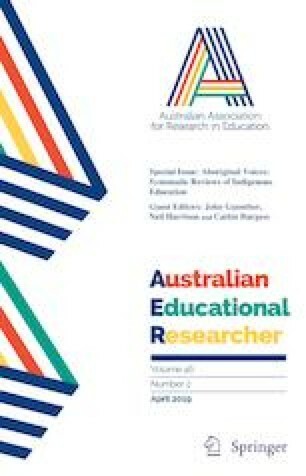 Scores from the 2015 Programme for International Student Assessment are analysed for Australian children from migrant and non-migrant families, conditional upon a measure of gender equity in secondary education in their country of ancestry. Australia is a particularly pertinent case study as it has the third highest migrant (foreign-born) proportion among OECD countries (27.4% of population). We find that children from migrant backgrounds affording lower schooling access to children of their own gender achieve lower scores on PISA reading, mathematics and science tests. This holds when the sample is restricted to children born in Australia, providing strong evidence that the effect is cultural, with further analysis showing this effect to be more pronounced for boys. The authors would like to acknowledge the valuable role of anonymous referees in prompting a fuller consideration of migrant selection effects in our analyses. OECD (Organisation for Economic Cooperation and Development). (2017b). About—PISA. Paris: OECD. http://www.oecd.org/pisa/aboutpisa/. OECD (Organisation for Economic Cooperation and Development). (2017c). PISA international data explorer. Paris: OECD. http://piaacdataexplorer.oecd.org/ide/idepisa. World Bank. (2017). School enrolment, secondary (Gross), Gender Parity Index. http://data.worldbank.org/indicator/SE.ENR.SECO.FM.ZS.